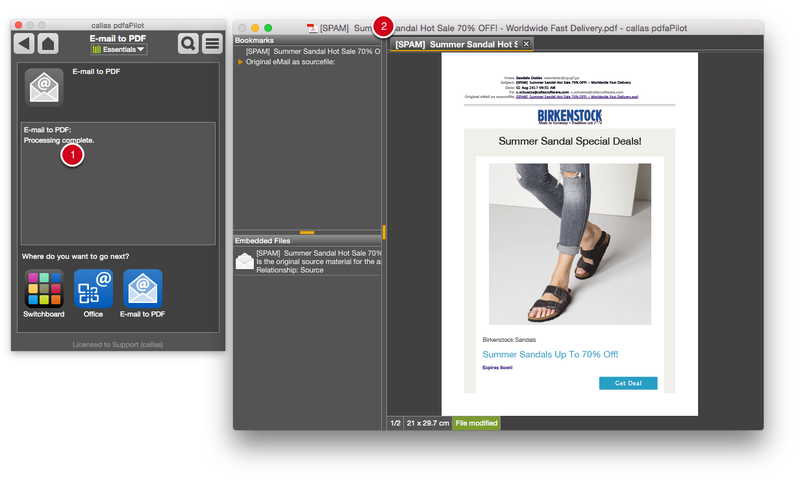 To allow you to save emails in PDF format, pdfaPilot offers a range of options for converting text and attachments into a “standard” PDF or the long-term archiving format PDF/A. A wide range of settings are available for managing text and attachments. 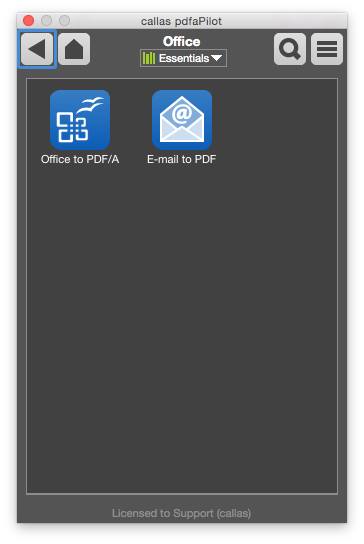 The “E-mail to PDF” action is part of the “Office” group. 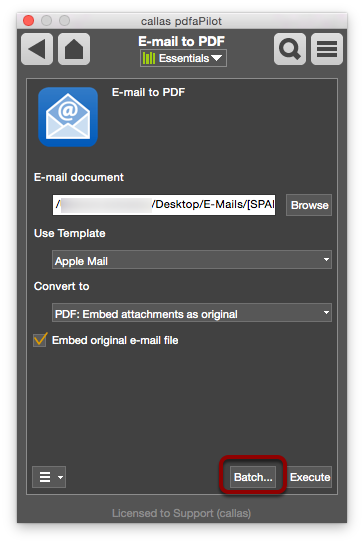 You can select an E-mail document to process by clicking “Browse” and selecting an email file from the window that opens. 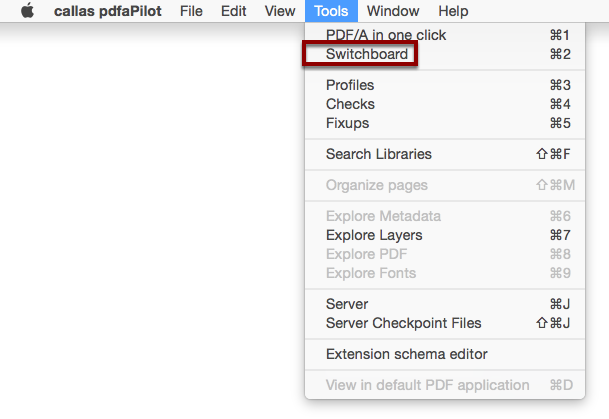 pdfaPilot offers a range of options under Convert to. The basic choice is between converting to PDF or PDF/A. 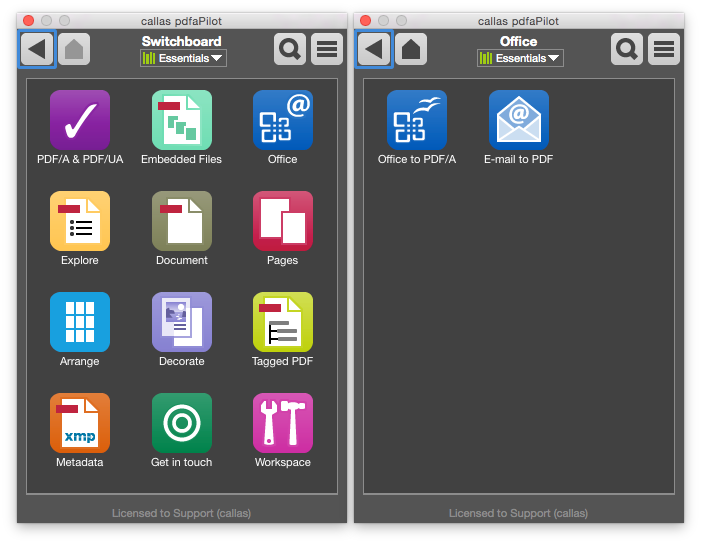 The list also offers a range of options for handling attachments (as original / PDF / PDF/A / additional PDF pages). The check box lets you specify whether to embed the original email file. 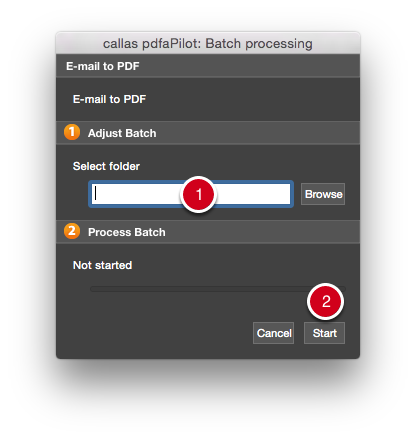 pdfaPilot will then report that processing is complete. 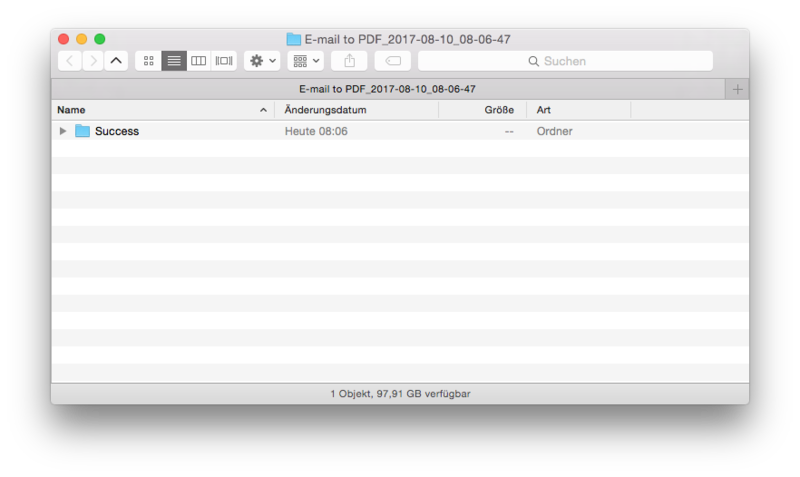 The resulting PDF or PDF/A file will then be shown in the file window. 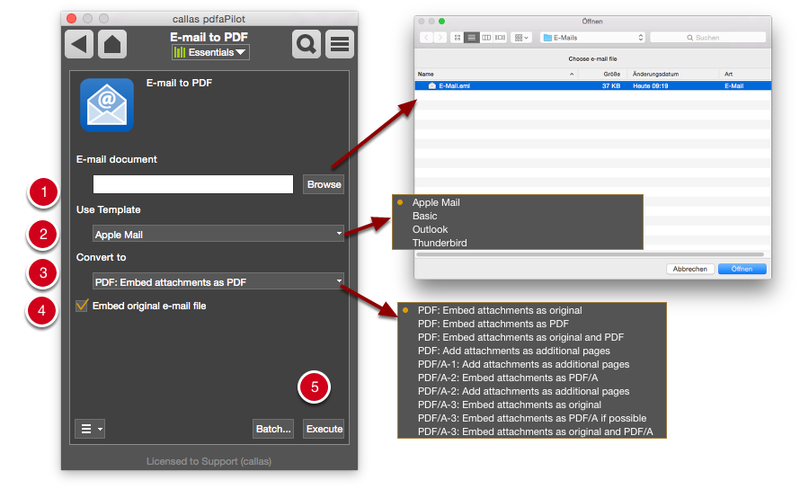 The E-mail to PDF Action can also be used for batch processing.